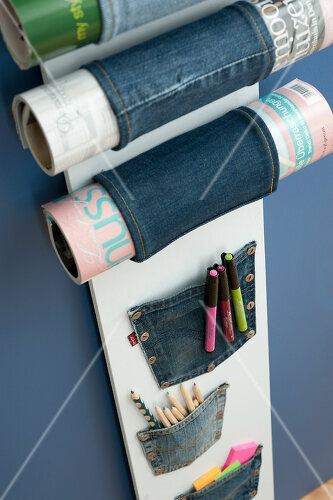 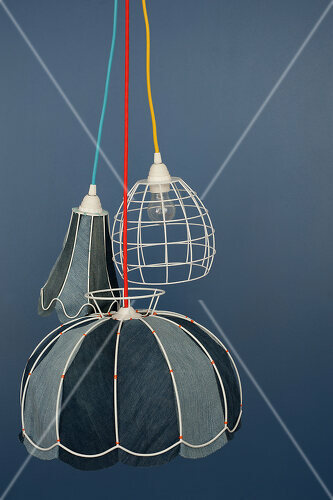 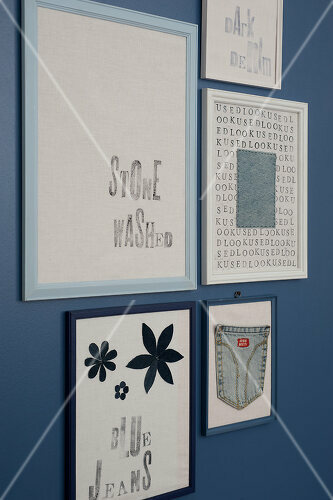 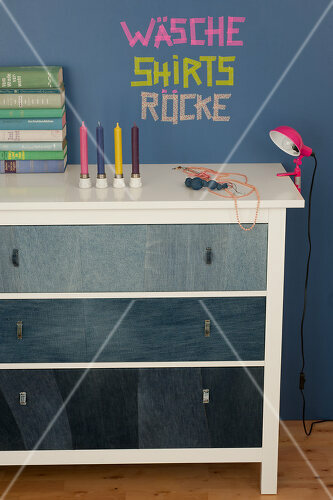 There is so much more you can do with jeans than just wear them. 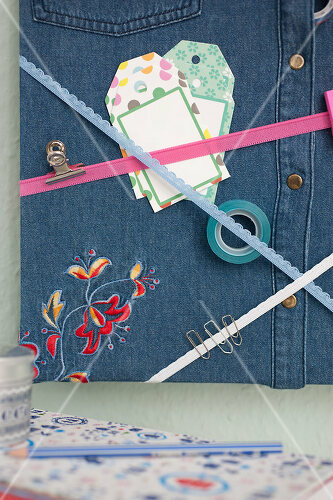 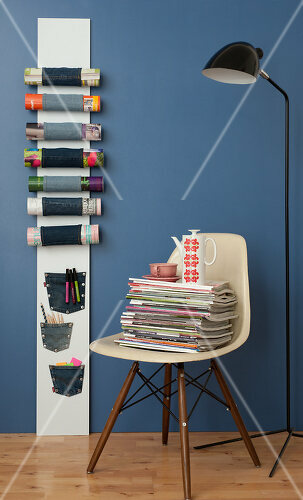 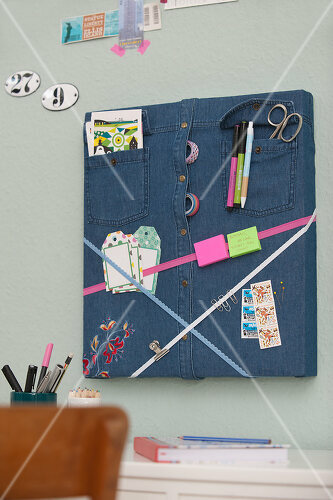 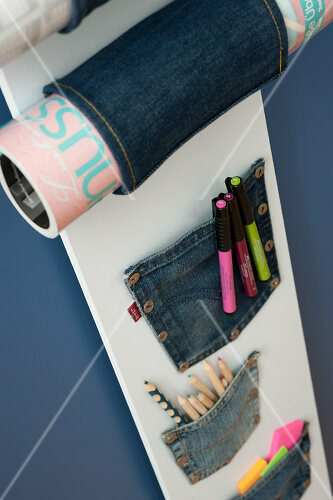 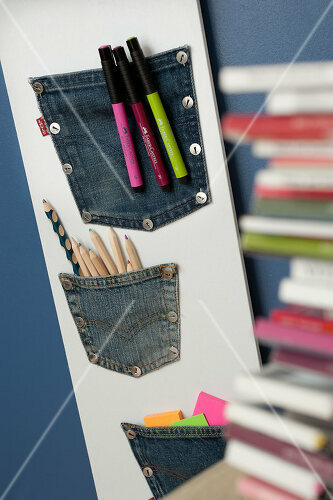 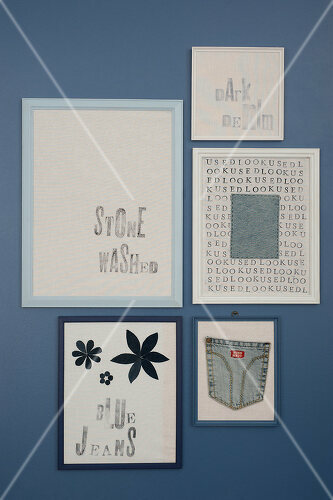 Make a handy organizer to keep everything neat and tidy in the office or create lampshades and a bulletin board. 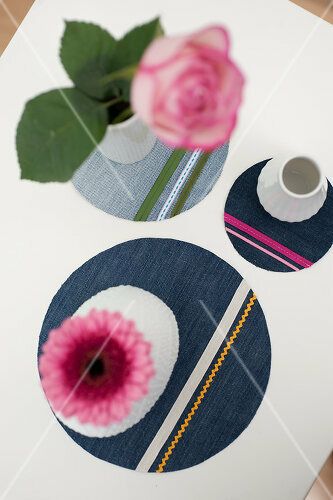 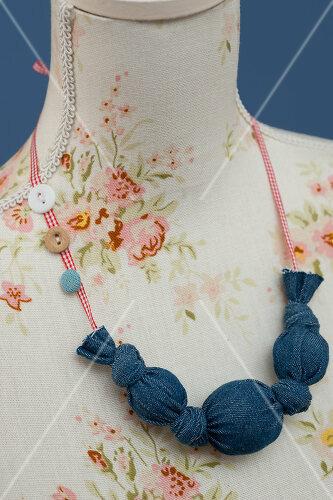 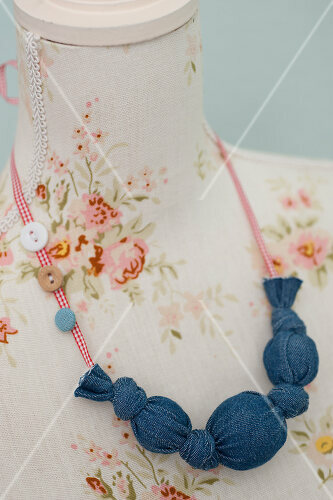 You can even fashion jewelry out of jeans fabric.